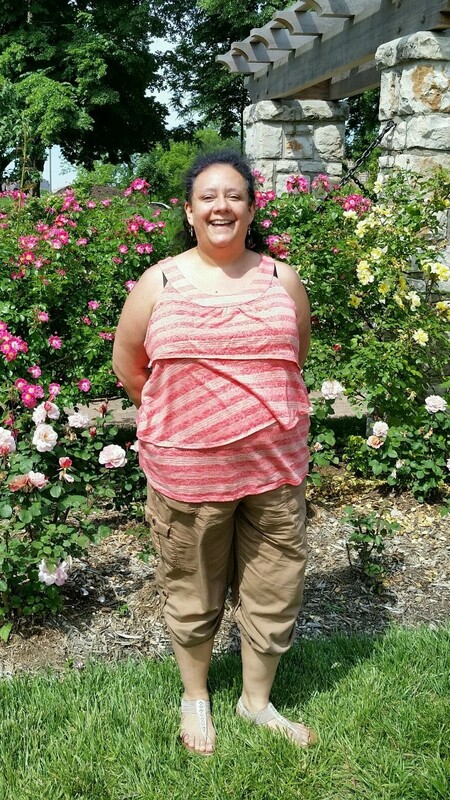 Abigail Gomez "Abi" Roldan, 53, of Liberty, MO, passed away peacefully on June 14, 2018, at home with family at her side. Visitation will begin at 10:00 am, followed by funeral services at 11:00 am, on Tuesday, June 19, at Park Lawn Northland Chapel, I-35 at State Route 291, Liberty. Burial will follow in Glenridge Cemetery. Memorials are suggested to Cancer Treatment Centers of America. Abi was born May 22, 1965, in Kansas City, MO. She graduated from high school in Midland, TX and received her Bachelor's degree from Avila College. She worked as a Mammography X-ray Technician for Excelsior Springs Hospital until her health no longer permitted. Abi was preceded in death by her father, Alexander Roldan and step-father, Harry Carter. Survivors include her husband, Joseph Leonard; children, Everardo Leonard, Daniel Leonard and Hannah Leonard; mother, Maria Carter; siblings, Ernesto Roldan, Christina Turner, Ian Carter and Christopher Carter; as well as numerous nieces, nephews, other family members and friends. Visitation: 10:00 – 11:00 a.m., Tuesday, June 19, 2018 at Park Lawn Northland Chapel, Liberty, MO. Funeral Service: 11:00 a.m., Tuesday, June 19, 2018 at Park Lawn Northland Chapel, Liberty, MO. Abi, I miss you so much. Work just wasn't the same without your positivty and love for your patients. You put up with so much, yet were always a light. You are going to be missed by so many people. My sweet and dear friend. Words cannot describe the emptiness you have left. My heart is full of “Abi Moments” as I have been blessed by you. Your smile will live forever in my mind as I recall 40 years ago you said, “Hi I’m Abi, wanna be my friend?” My prayers to all of your families. Prima Abi, we were childhood cousins that re-connected as adults because you and Angie stayed in touch. So very glad for that. You lit up a room with your smile and wonderful personality, I will miss you dear Prima. Rest well in Heaven, until we meet again. Love always, Chrissy. I will miss our times at lunch together. I loved hearing your stories about your family. You were a shining light for us all. I am so lucky & blessed to have known you for so many years. It's hard to forget someone who gave you so much to remember. Rest in peace Abi. Abi you were such a wonderful caring lady always positive and smiling you helped me so much as a patient and a co-worker. I will miss you very much. Thoughts and prayers go out to your family. Abi's smile lit up a room and she was a inspiration to me every time I had the opportunity to be around her. I will miss her greatly but I rest assured she is in heaven with our father. I know you are no longer in pain and you are soaring with angels. May God bless your family and remain close to each and every one of them. My annual check ups from you at the hospital were painless-because of you! This past year we compared our cancer treatments during my visit and encouraged each other. I am so glad to have known you and you will be sadly missed. Abi, you will be missed. I loved seeing you because you always had a smile on your face! I miss working with at Trinity Lutheran. Words aren't enough to say how much I thought of you and how much you will be missed. Love you Abi girl! I shall miss you, Abi. I loved hearing about your children— How proud you were of all their accomplishments. You beamed when you shared stories!!! They definitely acquired a “zest” for life from you. You taught them well and now they shall walk in your shoes. Thank you for being such a wonderful example to all of us who were in your presence.